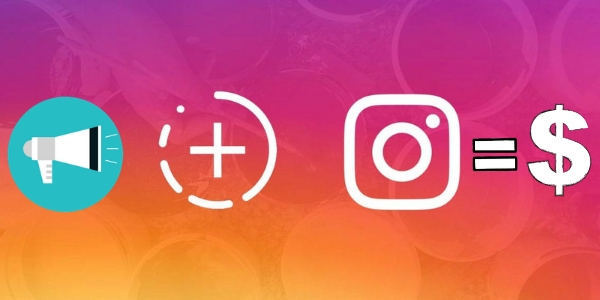 Did you know that Instagram Stories now boosts 400 million daily users and advertisers? That is for sure “real estate” any business would want to take part of. One way a business can best utilize these 24-hour lifetime pieces of content is through Instagram Influencers. These individuals not only have huge followings but also can greatly influence consumers buying decisions! An in-feed post on Instagram maybe great to get general exposure, but it doesn’t allow an influencer to add a clickable link to the post. Only the profile allows for one. With Stories though, if an Influencer has 10,000 plus fans they can active the powerful swipe up feature, which will allow users to be taken directly to a product or service landing page. It’s a win for an Influencer as well as they then can take a potential cut from the direct sale that came from the Story. Unlike regular Instagram posts, where people are constantly scrolling and skipping over many posts that are served to them, people are taking their time and actually looking at Stories. That’s because Stories are usually much more genuine and less staged and polished. This amateur type look of user generated content then creates a much more integrated and connected shopping experience for the consumer. If you are looking for conversions in the social media space, Influencers that utilize Instagram Stories may just be your best bet for getting a return on your investment. For additional influencer marketing and social media tips for your business, contact The Interactive Imprint at 954-254-1650 or visit TheInteractiveImprint.com.